Conceptual image of plant genetic research. 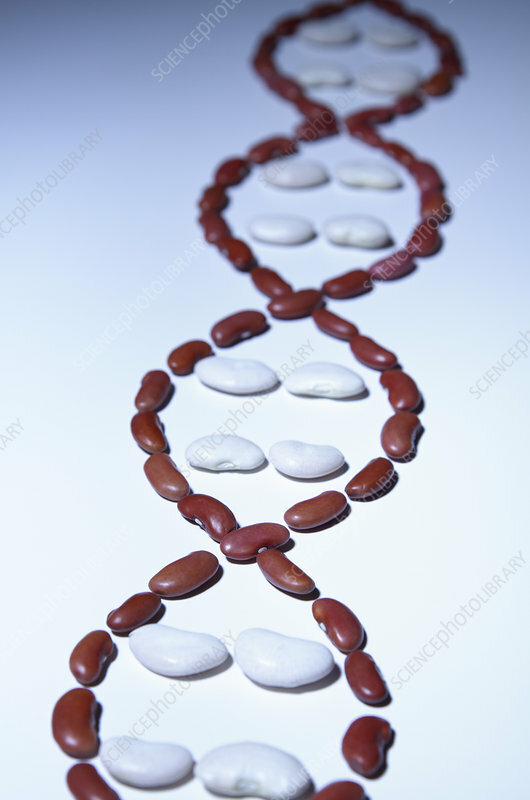 Kidney beans and lima beans arranged in shape of a DNA strand. Studio shot.